Clay pigeon shooting, also known as clay target shooting, and formally known as Inanimate Bird Shooting, is the art of shooting a firearm at special flying targets, known as clay pigeons or clay targets...well that is the definition, the reality was less of an art and more of an attempt..
We all managed to hit the target, largely thanks to the impressive and cheeky training skills of Ralph at Challenge Leisure. 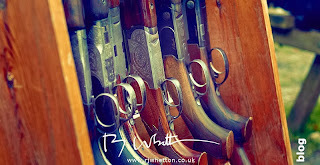 Robert Whetton Photographer is the RocktimeSocial Guest Blogger this month and joined us on our Team Event to capture our endeavours...we are certainly in no position to give Rob any tips on shooting; guns or cameras. Check out his event photos and blog and on the Robert Whetton Photographer Facebook Page. The weather was fresh and clear, the team all learnt a lot and had a great laugh; mostly at each other in a lighthearted banter because Ralph was such a funny, ex-army tell-em-straight kind of guy, which the team photos also clearly show! Well done to Paul, Krishna and Guy for being our champion clay shooting team. Paul was not only team winner, solo winner but also our photographer in residence! Busy man! Would we go again...very likely, especially, as we have already been challenged by another digital agency. 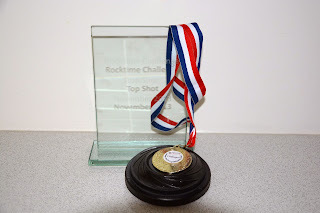 It has been a good year for Rocktime social activities:Bowling, Paint Balling, Go Ape Tree top Adventure, RIB speed boat ride and the ever popular pint at the pub with a game of pool.